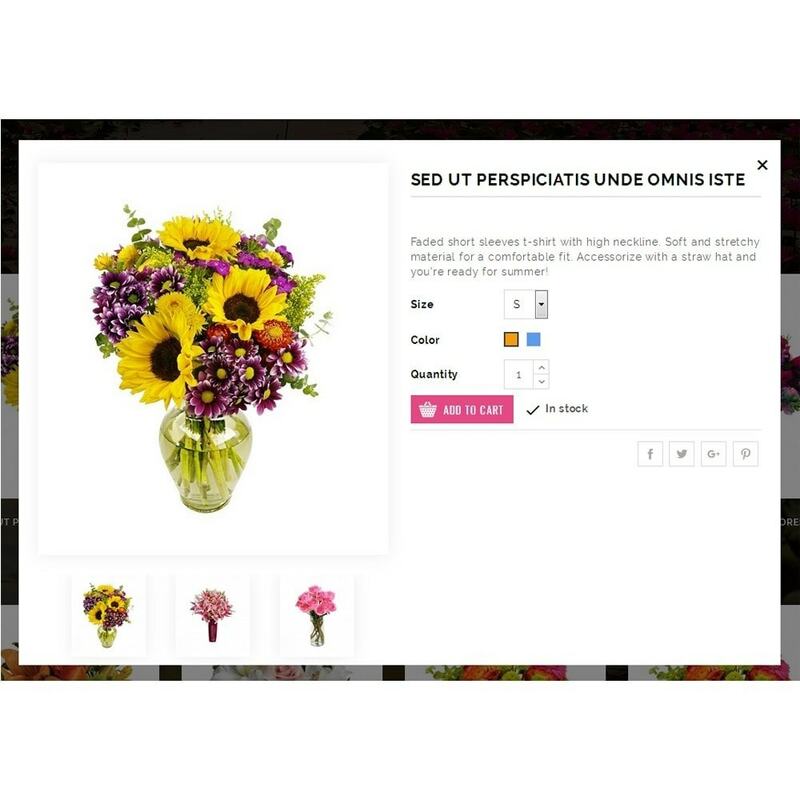 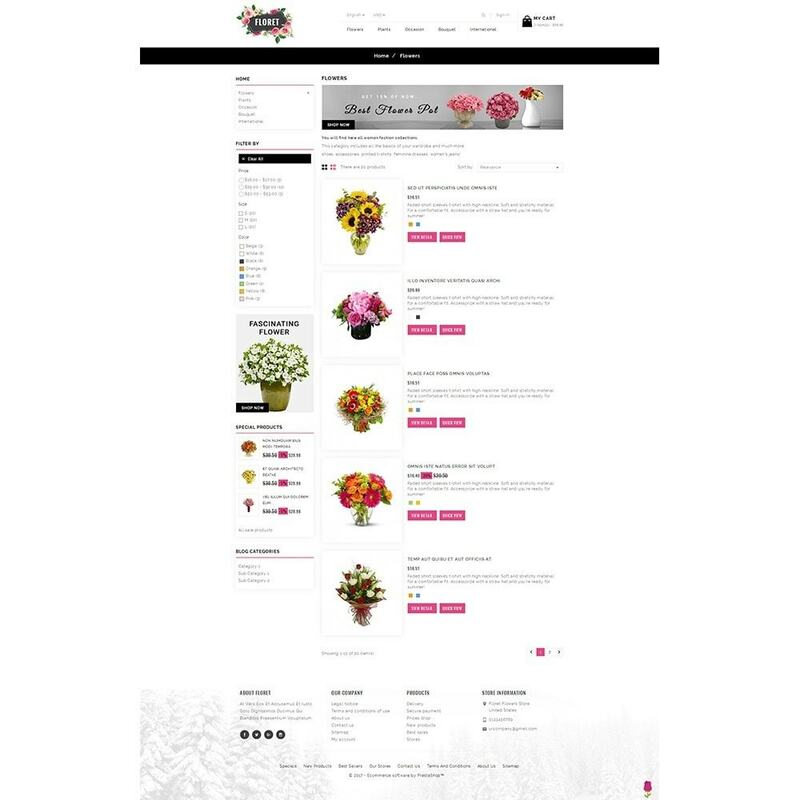 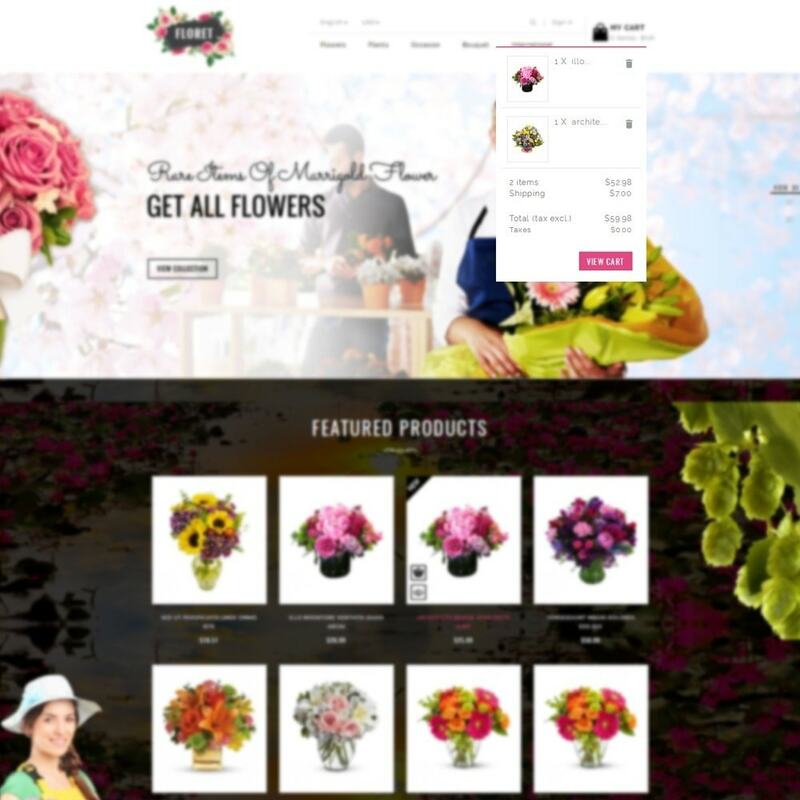 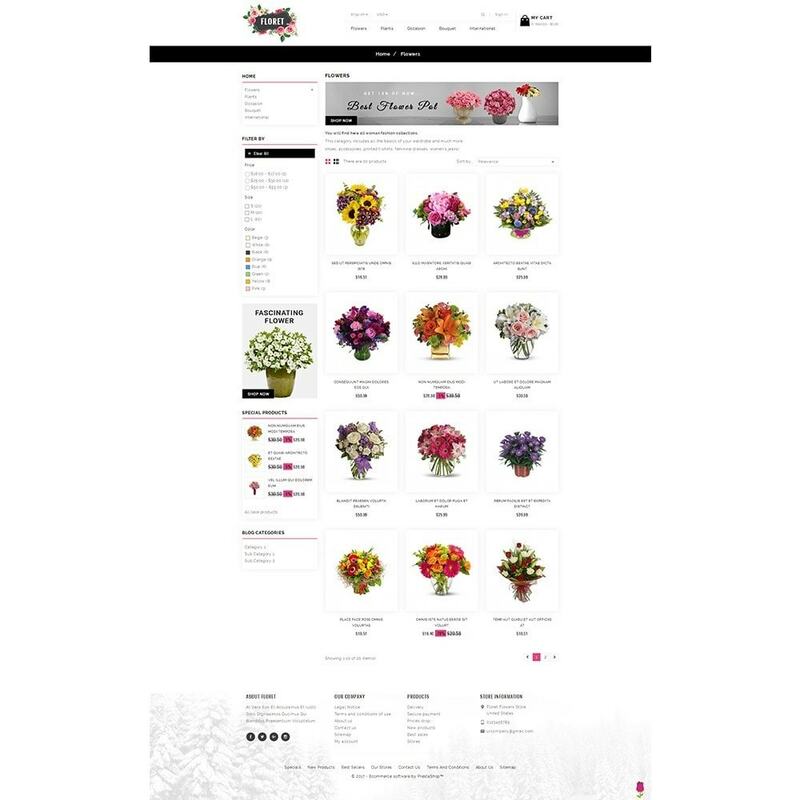 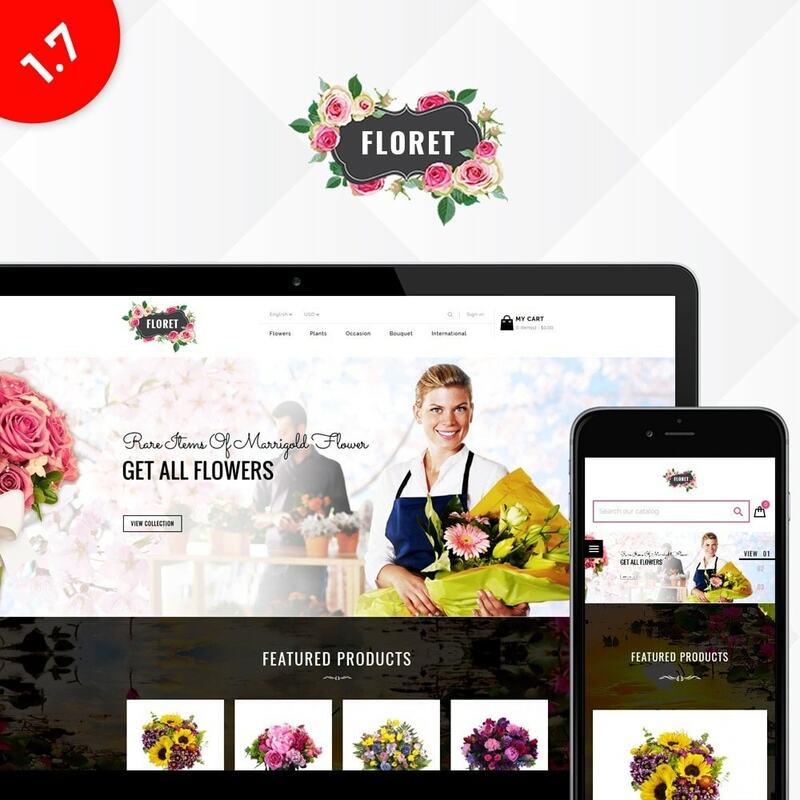 Floret Flower Store Responsive Theme is designed for Modern, Flower, Nature, Bouquet, Wedding, Gifts, Art, Crafts, Home, Decor, Furniture, Kitchen, Fashion, Apparels and multi purpose stores. 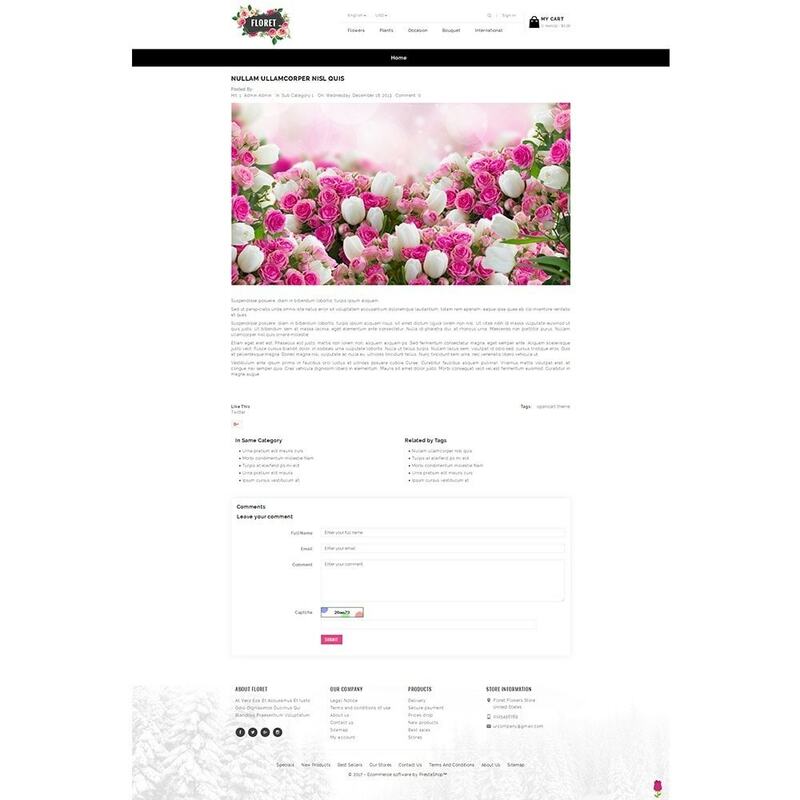 it looking good, very clean and professional. 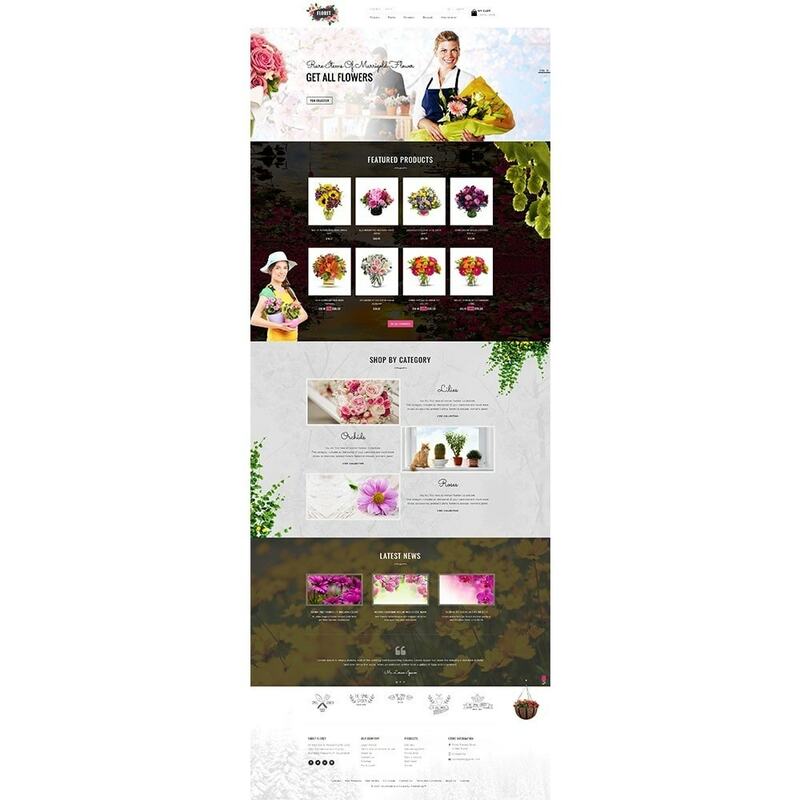 The theme can be easily installed from your Back office with module import / export (theme installator available in theme package) or directly by sending files via FTP. 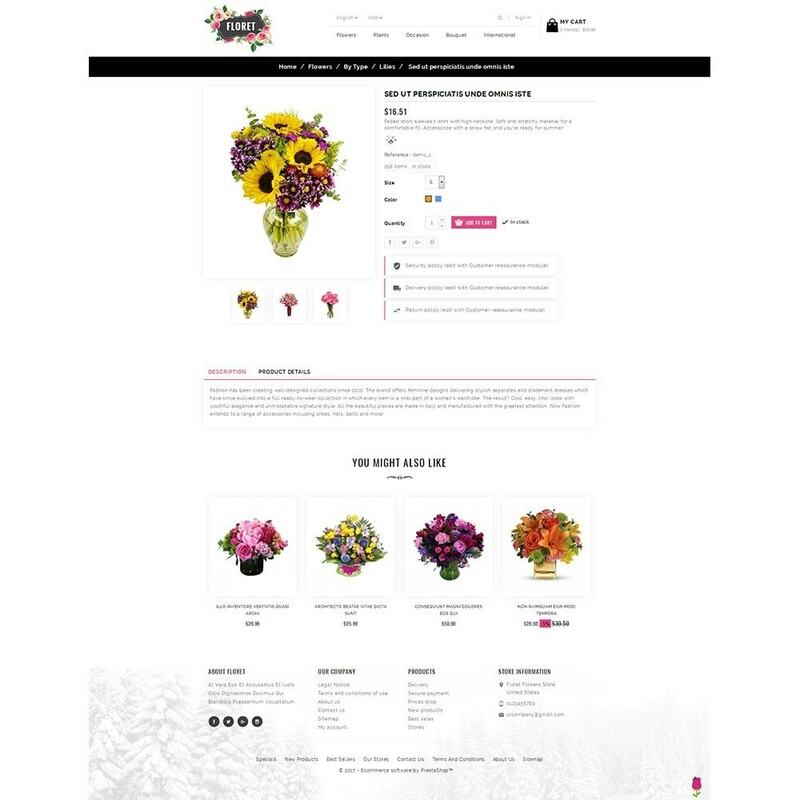 Installation Document Included with theme package file.